Dark Circles? No, Thank You. Corrective skin care for all skin types and concerns. Curious to know your current hormone levels? Looking to confirm your ever-changing allergies? Amy is a godsend... [She] is extremely knowledgeable about skin issues and has helped me adjust my diet over the last few months to achieve extremely improved skin. She has also adjusted my product regimen so I have kept breakouts and blemishes under control. 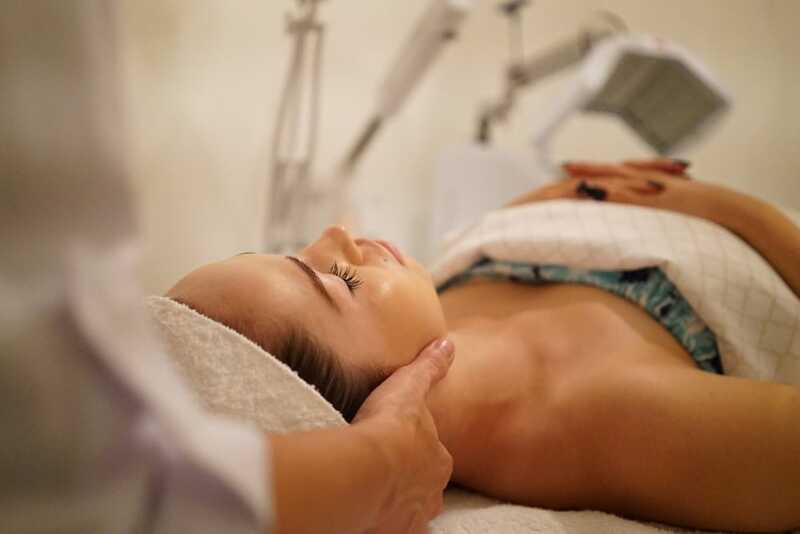 [The spa] also offers additional top knotch services like massages and infared sauna treatments. Visits to Amy Rae Aesthetics are always the highlight of my week! Bottom line...this place is worth it. I have never seen the condition of my skin change so dramatically for the better until I started seeing Amy Rae. I've been seeing her consistently for about three years, and I honestly think I look younger and better now then before. She is sweet and super knowledgable without ever being pushy for products or extra treatments. I've tried many of her treatments and all have been wonderful. I trust Amy Rae with whatever she recommends and haven't been led astray. The best part about her facial is that everything she uses on your face is natural! Parking is easy and the spa is beautiful. Definitely a must visit place if you are investing in your skin's health! I LOVE Amy Rae! She is honest and trust worthy and has taught me so much about how to care for my skin inside and out. I drive an hour for my facials and brows to be done here and I wouldn't trust anyone else. Amy Rae is a skin genius! I went to her with inflamed red skin and rosecea. I had been to Dermatologist, and all kinds of different facialist and not one person could identify the cause. Amy Rae knew immediately that I had a allergy to gluten by the nature of my condition. Within one month of changing my diet and treating my skin my skin completely changed and healed. I am so grateful to her for possibly saving my health as well as clearing up my skin! I have been seeing Amy Rae for 8 years. I came to her with low confidence and horrible skin. I knew within minutes of talking with her in my consultation that she was extremely knowledgeable. Within 1 month of treatments and following the plan she put me on my skin had completely changed. I have never had skin trouble since. I was educated on what to do in-between seeing her and I still follow everything she tells me to do to this day. She is a miracle worker. Not to mention extremely caring and compassionate about what she does. Complete rejuvenation of the Mind, Body, and Skin. At "L.A.'s Most Holistic Spa", we treat both topical symptoms and root causes. Please enjoy our private entrance upon request. Amy Rae has been in the medical aesthetic industry for 16 years. Her unique approach of combining nutritional skin care with a holistic approach has made her one of LA's most sought-after aestheticians. Amy Rae has been featured on shows such as Botched and WAGS on the E channel. In January 2017, the LA-ist's list of the Top 13 Spas in Los Angeles had Amy Rae Aesthetics at the top! Many celebrities trust Amy Rae with their skin and have for years. Amy Rae uses skin nutrition combined with powerful products and safe non-invasive technology to transform your skin into the most beautiful skin possible. The private location located in Pacific Palisades is a perfect place to come and relax while receiving your corrective skin care services. Amy Rae truly cares about her clients and their skin is a reflection of that. Amy Rae is certified in Holistic Nutrition, Advanced Chemical peels, Sapphire Dermabrasion, Oxy-Biolight, H2O facial technology, Dermablading, Ultrasound, Micro-current, and LED light therapies. She is also certified in 26 skin care lines.